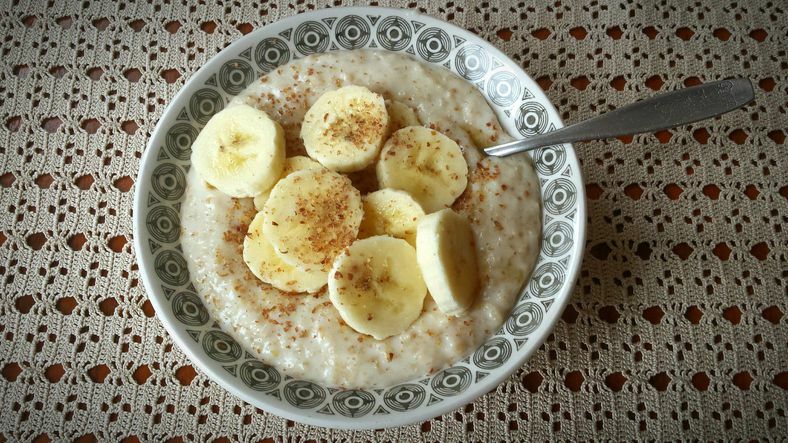 "Porridge" traditionally refers to oatmeal in Jamaica, and oats porridge is popular all over the Caribbean. This recipe gets a wonderful flavor boost from cinnamon and nutmeg. The raisins are cooked right into the porridge so they plump up and add a nice textural touch. Creamy good with whole milk, this porridge is so delicious you can even serve ​it as a pudding for dessert. Soak the oats in 1 cup of water for 4 minutes. Bring 2 cups of water and the cinnamon stick to a boil while the oats are soaking. Add the soaked oats along with any residual soaking liquid to the water when it begins to boil. Stir in the rinsed raisins and reduce the heat to low. Cook covered for 5 to 6 minutes or until the mixture becomes very thick. Remove from the heat and remove the cinnamon stick. Stir in the nutmeg, along with sugar and milk to taste. Oats porridge isn't just for breakfast or a snack. Add your choice of vegetables to serve it as a side dish. Small chunks of carrots work well alone or combined with peas or potatoes. Serve cooked porridge with a dollop of yogurt on top and drizzled with honey and optional chopped nuts, such as walnuts or almonds. Add pieces of fruit like green bananas, plantains, oranges, or breadfruit to the cooked porridge. Use coconut milk or sweetened condensed milk in place of cow's milk for a sweeter flavor. If you're worried about fat content, use non-dairy milk but the porridge will be thinner. Use quick-cooking oats in place of rolled oats but adjust the cooking time based on the package instructions.